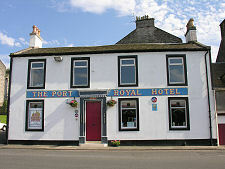 Port Bannatyne lies on the east coast of the Isle of Bute, about a mile and a half north of Rothesay. Together with its eastern neighbour of Ardbeg it stretches along the south shore of the deeply indenting Kames Bay. 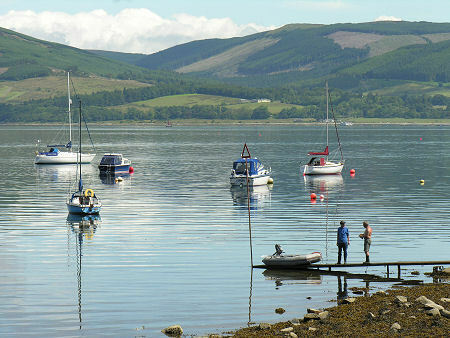 Kames Bay lies at the east end of a low-lying valley that cuts right across the Isle of Bute to Ettrick Bay on the west coast. 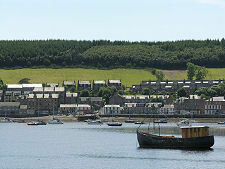 The story of Port Bannatyne itself really starts, though under the name of Kamesburgh, with the building of a small harbour, the Old Quay, in 1801. 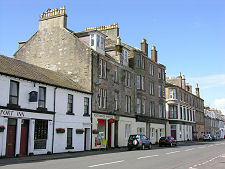 By the mid 1800s this had been developed to provide for the regular steamers that were by then calling here, and it is fair to think of Kamesburgh developing as an adjunct to Rothesay, giving an additional means of accessing the Isle of Bute. 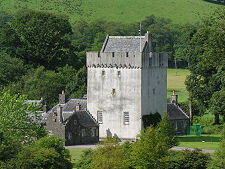 In 1860 this part of the island was purchased by the Marquess of Bute, who renamed Kamesburgh as Port Bannatyne to reflect the long historical association of the Bannatyne family with the area - and with Kames Castle - until their line expired in the 1700s. 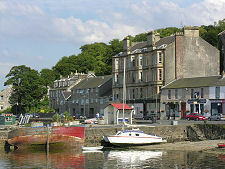 In 1879 Port Bannatyne was linked to Rothesay by a horse drawn tram. This was electrified and extended to run across the island to Ettrick Bay in 1902. 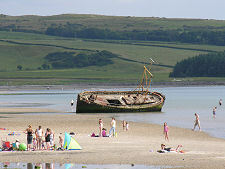 Partly because of this, Ettrick Bay has always been the most popular beach on Bute. Today it comes complete with a tea room, and with its own wreck. This is the abandoned fishing vessel the Co-Worker which ran aground and has since been referred to, perhaps a little fancifully, as "Bute's Eifel Tower." 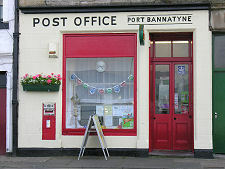 Port Bannatyne developed into the 1900s as a quieter alternative to Rothesay. Boatbuilding became an important local industry, and in the 1920s an unusual 13 hole golf course was opened (it has since expanded to the more usual 18 holes). 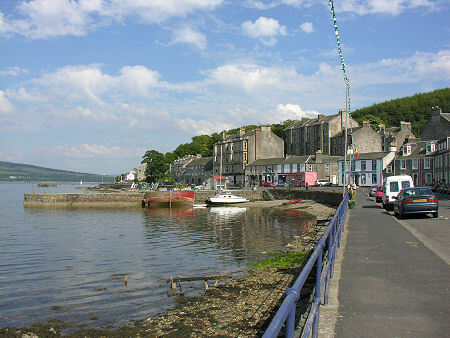 Despite the opening in 2009 of a 100 berth marina, today's Port Bannatyne remains less busy and more scenically attractive than Rothesay. 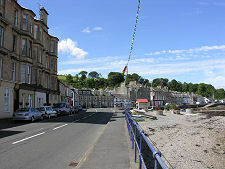 In many ways it still retains the patterns it established in the 1800s and its focus continues to be the stone pier mid way along the south shore of Kames Bay, inland from which are a small selection of shops and hotels.